I'm at the end of my mind. Why is it not possible to mix the top-alignment in a table? 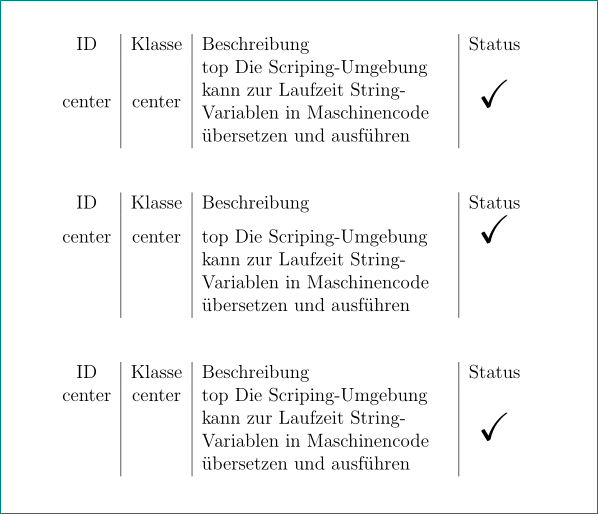 Simply the table columns should be center | center | top | center. But I'm not able the get it. In order to achieve the desired vertically centered alignment of the single row containing columns, you can use the m type column instead of the p type column. 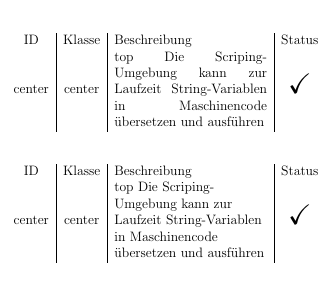 In the following example, I have also shonwn how to achieve a raggedright alignment on the third column as currently there are quite large spaces between the words. How to vertically-center the text of the cells? tabular vertical alignment to top?